Toddlers love the Apple iPad and with the wealth of both fun and educational apps out there today this is great news for both parents and educators. The problem is, without adequate protection it can be quite nerve wracking to leave your $600 tablet computer in the hands of a young child. Thankfully, there are some great iPad cases for toddlers which offer the kind of everyday protection you need to keep the iPad safe from harm whilst still allowing you to give your child access to all the useful apps it provides. 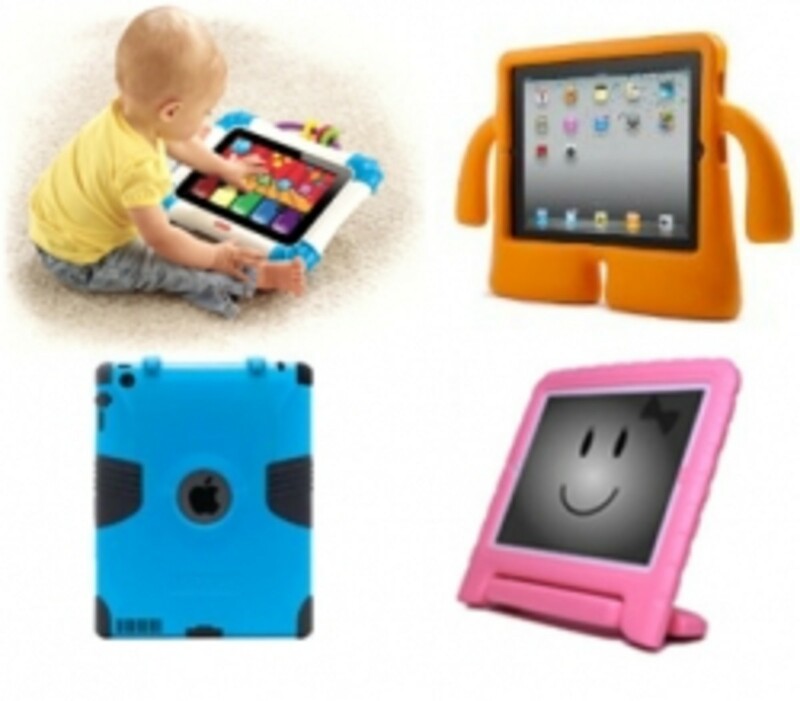 Which is the best iPad case for a toddler? Well, there are quite a few options to choose from these days and ultimately, many of the rugged, heavy duty iPad covers for adults are equally suitable for children as well. 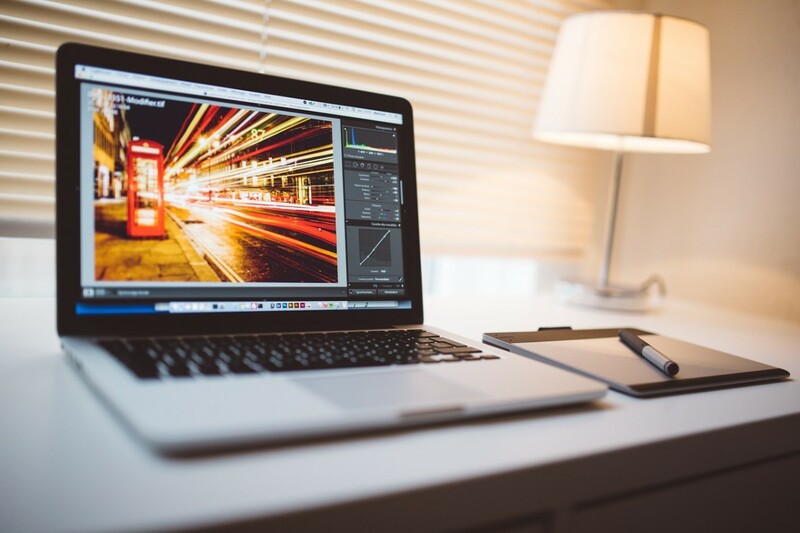 What you are basically going to be looking for is a case which meets a few different basic requirements in order to keep your device safe from harm without making it unmanageable to small hands. You want to look for a case which is shock and drop resistant, which protects the screen from scratches and scuffs and which covers up the access ports to keep food, drool and foreign objects from finding their way into them and one which enables your child to grip it easily to help prevent it slipping out of their grasp. You'll want your toddlers iPad case to achieve all these goals whilst remaining lightweight and portable too and if possible, you'll want it to look bright, fun and colorful too. That might sound like a lot to ask for in a kids iPad holder but there are some great cases out there which fit most of these requirements admirably. So...which iPad case should I buy for a toddler? Well, that depends on what you in particular are looking for exactly. For me, the best children's iPad case, and for kids of all ages for that matter, is the Griffin Survivor Extreme Duty Military Case simply because it offers superior protection again accidental drops and other mishaps which are more than likely to befall your iPad in the hands of a child. This case is a little on the heavy duty side however and you might be looking for something a little more fun than the plain black or pink color it offers. Fortunately, if this one doesn't do it for you, there are plenty of other options out there which still offer a great level of protection in a much more child pleasing package like the incredibly cute but still very functional iGuy or the Laugh and Learn Apptivity Case from Fisher Price which has the look and feel of their line of baby and toddler toys but has some great features like a hidden home button and ring toys on the handle which make is a great iPad case for babies to play with. Feel free to browse the rest of this lens where I have endeavored to include some more detail on the kind of things you might want to consider looking for when choosing to buy a shock proof, drop resistant iPad case for a toddler as well as some brief reviews of the top rated iPad cases for children on the market today. Does military grade protection sound strong enough to you? The Griffin Survivor case has been independently tested to meet both UK and US Department of Defense standards to protect your iPad from extreme conditions. It features a shatter resistant frame surrounded by shock absorbing silicone which encases the iPad in a protective shell resistant against shocks, drops and vibration damage. A built in screen protector prevents then screen from scratches and because it doesn't adhere directly to the glass there is no messy residue to clean off should you decide to remove the case at a later date. The Griffin Survivor Extreme-Duty Military case is the ideal iPad protection for toddlers because not only does it protect against drop and shock damage (it has been independently tested to withstand a 6ft drop onto concrete) but it also features a built in screen protector to prevent scratches on the glass. The silicone case surrounds the whole body of the iPad including the ports which have cutout flaps which lock down to prevent intrusion by dust, dirt or inquisitive fingers wielding foreign objects or food substances. These flaps lift up to give easy access to those ports when you need them but protect the device from harm when you don't. The rugged silicone outer case provides a grippable surface and although quite bulky, it's a pretty good trade off for the level of protection it provides. This rugged iPad case is aimed at protecting an iPad in harsh conditions and what can be harder on a digital device than the average 2 year old? Military grade protection might sound a little like overkill or, it might just sound like a very, VERY good idea once you watch your iPad fall off the kitchen table and survive. There are numerous drop tests you can see on YouTube featuring this very rugged iPad case so if you want to watch why the device is called the "Survivor" then feel free to check a couple out below and watch iPad's survive a few drops from a man's height which should ensure it's safety when dropped by a toddler. It's a steal at this price too as it regularly retails for around $80 in retail stores. Buy it in Black or Pink for the iPad 2 or newest generation iPad 3. See a quick video showing how well the Griffin Survivor Extreme Duty Military case for iPad 2 protects its precious cargo even when dropped onto a concrete floor from a height of around 5 feet. A lot of cases claim to protect your device but you can actually get to see the level of protection in action here. A Toddler Friendly iPad Case With A Carrying Handle? - Why Not! One of the things which separates a mediocre case from the ideal iPad case for kids is just how 'grippy' it is to enable their little hands and fingers to hold it comfortably. The iPad by itself is pretty slippery and quite weighty for toddlers and small children which makes it hard for them to hold or carry without it slipping out of their fingers and onto the floor. The best recomended style of iPad cases for children have a textured surface or are made from a more grippable material to help prevent it dropping onto the floor and the ideal style is an iPad carrying case with handle or hand grips to really offer a secure holding point. The Gripcase is such case, designed to offer both drop protection should accidents happen as well as ergonomic handles around all four edges to lessen the likelihood it will be dropped in the first place. The Gripcase is a lightweight iPad case for toddlers and children of all ages. It is made from closed cell polymer foam which is washable and hard wearing. It features a padded bumped or 'crumple zone' around the edges which will absorb shock if accidentally dropped and the those edges are raised to prevent the glass face of the iPad from coming into contact with the floor even if it is does drop out of your hands. The impact resistant bumper surrounding the iPad doubles up as easy to grasp handles which are ideal for toddler girls and boys to grip hold of securely so they can fully enjoy all the tablet has to offer and you can rest assured your expensive gadget is safe from harm whilst they are using it. The Gripcase is available in several different colors including red, green, black, blue and purple. The Disney Cars iPad case completely encases the iPad 2 or original iPad tablet inside its protective outer covering which features a drop resistant rubber bumper around all sides and a scratch proof screen protector. There are a couple of nice little touches which make this case a good buy, like the handy carrying strap which also converts into a headrest holder for the car which is ideal for entertaining your kids in the back seat or the built in stand which lets your children prop up the tablet in either portrait or landscape mode so they can use it hands free. It comes with a Disney Cars themed stylus included as well to match the theme of the case itself. Even if your son or daughter is not a big fans of the Cars movie, this is still a nicely padded iPad case for toddlers and young children. How About An iPad Case For Babies and Toddlers From Fisher Price? Well, you don't get much more respected than Fisher-Price when it comes to the world of kids toys and products for everything from babies to toddlers and kids of all ages and would you believe they make a super little iPad case for kids too? The Fisher-Price Laugh and Learn Apptivity Case (hereby refered to as "it" or "the case" for the sake of brevity) is a beautiful iPad case for babies and toddlers getting their first introduction to all the fun and educational benefits a modern touch screen tablet computer can offer. It lets baby be in control whilst giving you, as the parent, the peace of mind in knowing your iPad is safe from harm whilst they play and learn. The Fisher Price kids iPad holder is bright and colorful which your toddler will love and is made from a hard case with a built in screen protector which you will love for the protection it provides against bumps and scratches. It also features a strip of hard, clear plastic on the front which covers up the home button which prevents your child from accidentally exiting out of the app which can be frustrating for them and nuisance to you as you have to constantly reload the app time and again. What this does mean is that you will have to remove the iPad from the toddler case to change apps too (because you will not be able to push that reset button either) but this cover opens and closes so easily this isn't going to be a big issue. There are a couple of large twist locks on the back which you simply give a quick turn with a coin and out pops the iPad, literally you go from unprotected to protected in less than 5 - 10 seconds. As with most iPad cases for infants you will need to remove any other cover you have on your tablet or it is not going to fit correctly. Here are some more toddler iPad cases and covers to check out if the examples above aren't floating your boat. What Are The Most Important Features You Should Be Looking For When Buying An iPad Case For A Toddler? This is probably the main reason anyone goes looking for an iPad case for a 2 year old toddler. The device is an absolutely superb learning aid as there are literally thousands of learning apps for kids many of which are 100% free as well as fun educational games, interactive story books etc. which can keep them entertained for hours and educate at the same time. That said, most of us are simply not going to comfortable with putting a 'naked' iPad, which retails for a minimum of around $600 for the new iPad 3, in the hands of a toddler or for that matter, a child of any age without making sure it is protected first. If you are looking for the the best iPad case for toddlers then you really have to start with the one which offers the best protection against being dropped, hit, thrown or otherwise mistreated. A good shock proof case will protect against accidental dropping or everyday bumps and other impact related accidents. You've probably owned something similar in the past for your phone where impact resistant cases like the Otterbox Defender series or LifeProof cases are popular choices. Shock resistant iPad covers offer much of the same kind of protection but in a larger size. There are some excellent shock resistant cases for the iPad 2 and impact resistant covers for the new iPad 3 and most are as ideally suited to children as they are for their parents. Many adults choose a resilient iPad case like the excellent Griffin Survivor to drop proof their tablet and protect it against dust and dirt in the workplace and these are equally suited for use by children as well. Many come in bright and alluring children friendly colors too rather than plain black. One of the questions many parents ask is "Is there an iPad case with a covered home button suitable for children?" when they are looking for a child friendly iPad cover. The answer to that is - absolutely! It can be quite annoying and frustrating for both the parent and the child using the tablet to have to keep restarting the app because of an accidental press of the iPad home button. Any interactive button is just too much of a temptation for the average 2 year old to ignore so a case with a button cover is something you really want to consider looking for if you can. Fortunately, there are quite a few good kids iPad cases with a covered home button so you can easily prevent this from being a problem. There are also iPad button covers available to buy online so if that is your sole reason for looking for a more toddler friendly case then you might like to look at some of those for a cheaper solution which might suit your needs better. Covering up the home button is something you might like to consider for the sake of convenience but covering up the ports to keep messy food, drool, juice spills and other liquids from entering and potentially damaging the iPad is something more of a smart choice to keep the device safe from harm. Locking down and childproofing those ports of entry life the power port or headphone jack will also prevent foreign objects from being inserted into them by an explorative toddler and generally, it's just a smart idea to keep them covered when not in use. Toddler proofing an iPad in this way is the second most important reason for buying a heavy duty iPad case for a child. Accidental or even deliberate drops during a tantrum or just carelessness are the most likely way a toddler will damage the tablet, but liquid of one form or another entering through an exposed port can be equally damaging and finding those ports all clogged up with today's snack is never going to please anyone either. The final thing which is quite important is the portability. You'll want a lightweight and portable iPad case for children because if it is too heavy and bulky, or slips out of their fingers at lot to clatter on the floor they'll not enjoy using it and your nerves will become increasingly more frayed with each and every thud as the iPad hits the ground. Lightweight iPad cases for kids are quite normal with many of them, including those featured further up the page here, are made from a hard wearing foam material which offers enough cushion on impact to keep a digital device safe but without adding extra bulk and weight to it. The exception on this page is the Griffin Survivor which is pretty heavy but at the same time gives you such a great level of protection against drops as well as dirt, dust and liquid spills, it just has to be worth a mention despite being a little on the heavy side. These are really neat iPad cases for children! I would think they would be essential if you are giving a child (or even adult :) and iPad. I'm a big fan of the Griffin survivor cases - they've saved my kids' devices on more than one occasion!